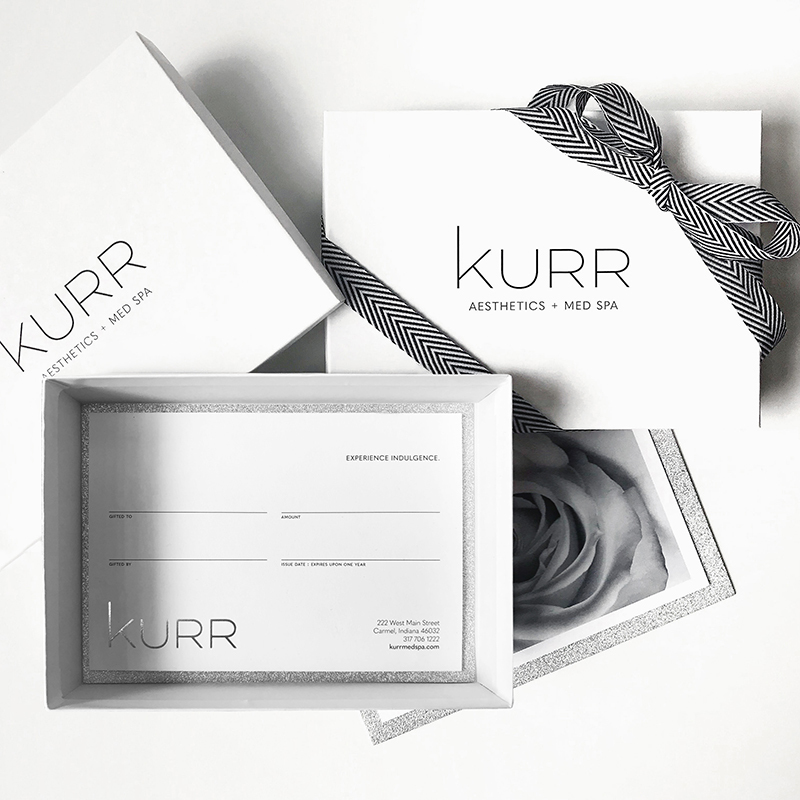 We're excited to share with you the redesign of our gift card packaging to better echo KURR's unparalleled boutique experience. We've created a ready-to-go present that will send a luxurious vibe to your recipient. 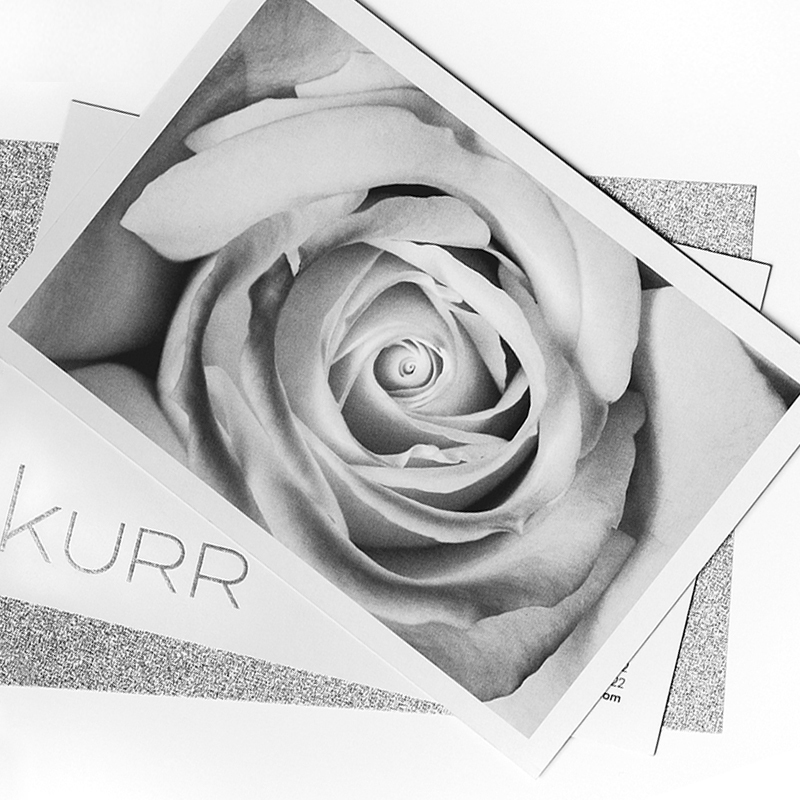 Heavyweight with a unique black edge and foil stamping of the KURR logo, our opulent gift card is packaged in either a branded box with silver sparkle lining, decorated with our signature chevron ribbon, or a silver sparkle envelope.